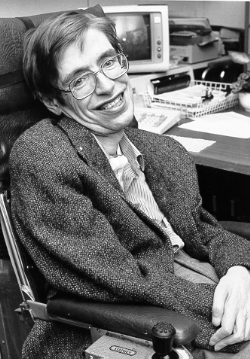 As we mark the passing of Professor Hawking, we are confident that his legacy and inspiration will endure for ages to come and it’s a testament to human perseverance and advances in health care that he survived and thrived for decades and upheld a career both as a scientist and personality. While we’re of course privileged and richer for having shared this existence with Professor Hawking, it is also a bit disheartening to imagine what’s left unfinished, bittersweet knowing there are others to come to champion mathematics and the sciences and take up the gauntlet of pondering the mysteries of the Universe. Although plenty of marvels (some by his own contributions) have been revealed—like our conception of Black Holes, gravitational waves and the profusion of exoplanets—we had hoped that Professor Hawking would have lived to see planetary colonisation and first contact. And while most of his charismatic appearances have been cameos, Professor Hawking’s final role (that we were just enjoying yesterday, in fact) was playing the next edition of the eponymous Hitchhikers’ Guide to the Galaxy (the audio book version of the guide) in BBC’s radio drama of Douglas Adams’ work—reprised with continuing adventures forty years after the original serialisation. Per aspera ad astra. Per ardua ad astra.